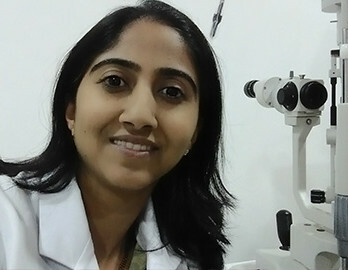 Dr Surabhi Dutt is a senior eye specialist. She has been trained extensively at Safdarjung Hospital, the prestigious and premier central government hospital. Dr Surabhi Dutt has specialized in the field of Cornea and Ocular Surface from the prestigious Dr Shroff’s Charity Eye Hospital. 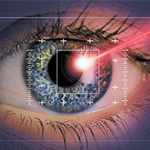 She has expertise in dealing with all kinds of eye surgeries, investigations and lasers. She has a keen interest in Keratoconus management, Corneal transplantation, Dry eye disease management, Phacoemulsification (cataract surgery) and LASIK. She has a strong academic influence and is very passionate about improving awareness towards corneal blindness…. It is best to call up in advance and seek an appointment for an eye check up – conveying in brief the vision problem you have. Carry a record of history of any medical problem you have and the drugs you are taking, as eye health is affected sometimes by other medical issues also. In case you already have a diagnosed eye problem. Cornea is a part of the anterior segment of the eye, this clear tissue covers the front portion of each eye. Any light which enters the eye, first passes through it, then the pupil to the lens. 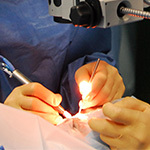 In this surgical procedure, as the name suggests the eye surgeon replaces a portion of the damaged cornea after removing it; with a new cornea portion from a donor. A vision is formed in the eye at the posterior most lining called the retina. This light is focussed with the help of the cornea. If the vision formation is affected due to the cornea, it is called a refractive vision error. Thus the defect in the focussing power related to cornea is refractive error. In the corneal disease called keratoconus, the shape of the cornea becomes very thin with the loss of structural integrity. 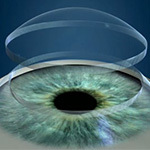 A normal cornea which is smooth and round helps focus the light rays and lends 75% functionality to the eye. As the corneal optical surface is irregular in keratoconus, glasses are not able to fully remedy the situation and unable to provide improved vision quality. Dry eye syndrome is a chronic and typically progressive condition. At times this condition is incurable owing to its cause and severity. Typically though dry eye management is easy and provides patient with improved eye comfort. There are a variety of ways to manage the dry depending on the main causal agent. We have given smile to thousands of patients who have chosen us for eye treatment!!! I am very happy with the eye surgery done at Aanya Eye Clinic for Cataract, now i am able see very clear & the whole experience was great!!! Dr Surabhi Dutt at Aanya Eye Clinic is extremely trained and skillful cataract surgeon in Delhi. I will recommend her to my friends & relatives!!! I was having – 6 number in my both eyes for last 18 years & have Aanya Eye Clinic for Lasik surgery. After lasik surgery i am able to see my world with our glasses! !